iPad users with latest Chrome update can take advantage not only of Slide Over and Split View, but also Picture in Picture video playback. 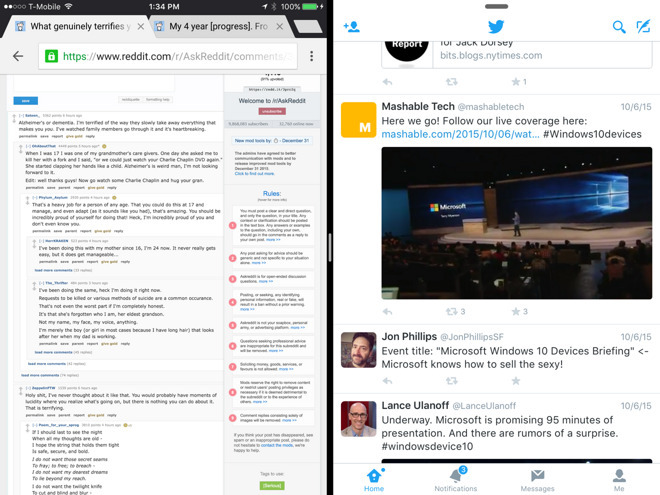 As with other apps, Split View is only supported on the iPad Pro, iPad Air 2, and iPad mini 4. PiP and Slide Over require only an Air, mini 2, or later iPad model. The addition of a second major iOS browser with multitasking support may be particularly useful for people who want to browse two websites simultaneously, since Safari can't split tabs into different windows, or run multiple instances of itself. The update also improves Chrome's handling of right-to-left languages like Hebrew and Arabic. It's a free download, and requires only iOS 7 or later. The social network announced that as of today, search results will start including public posts, not just posts from friends. To help filter through the noise, results will be automatically organized to prefer mainstream news sources, friends, and then lists of popular links and comments, putting comments by strangers in last. 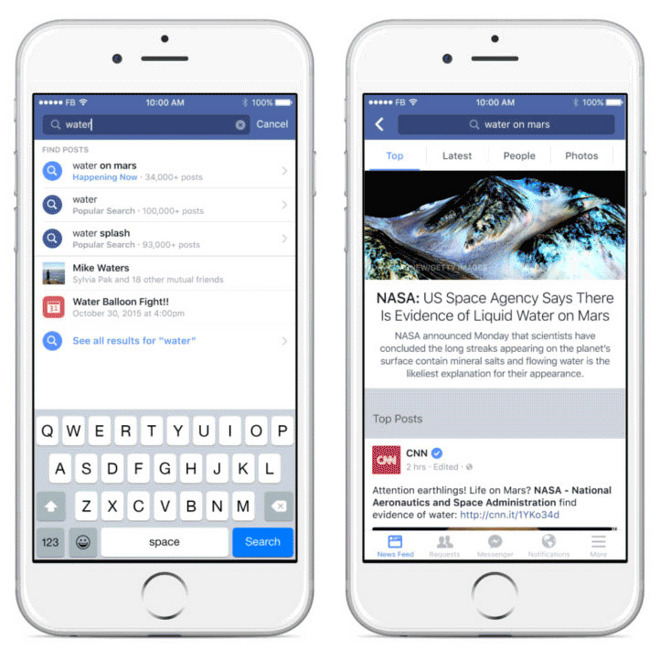 As users type in search requests, Facebook will also offer personalized suggestions, highlighting popular stories in particular. With public posts about a link people will not only be able to see popular quotes and phrases, but see an aggregate view of sentiment, and respond with their own comments. Currently the expanded search functions are limited to U.S. English, but are available through iOS, Android, and the Web. People who want to avoid having their posts caught up in searches will have to change their privacy settings, if they're not already restricted.